From flower farming for beginners to festive wreaths for the front door, our varied programme of classes and workshops should help you find your green fingers! SO you are in charge of organising THE hen party – stuck for ideas?! Why not bring your merry band of Hens (or Stags?!) 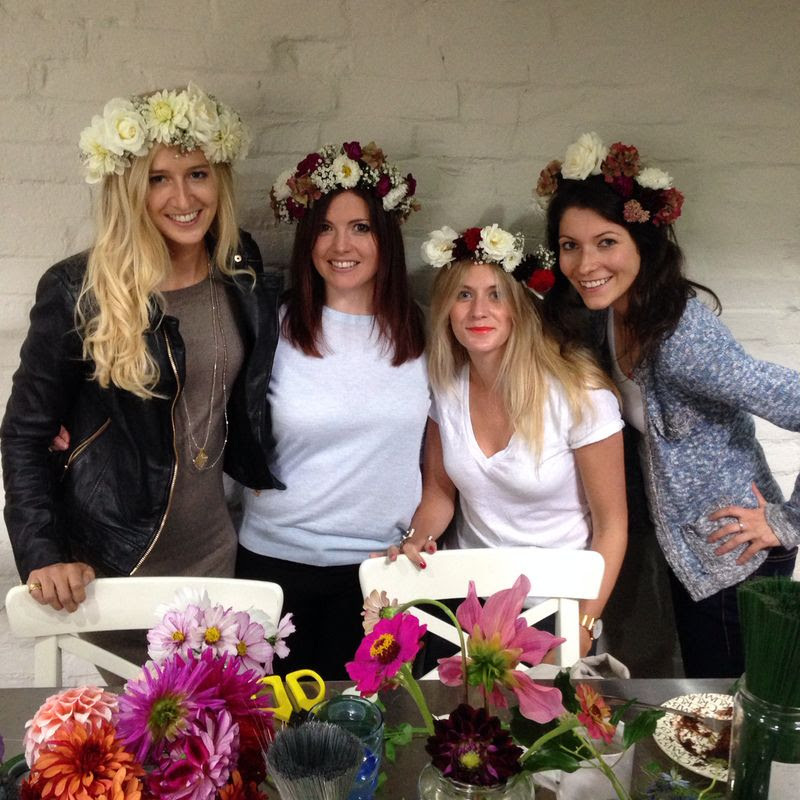 along to the Studio, for a joyous afternoon of Floral Crown Making and a full on delicious homemade Afternoon Tea. We run this workshop with dates and timings to suit the party, though it usually runs for 2–2.5 hours. Can’t find what you need in our workshop schedule? No problem, we can create a day (or more!) tailored to your requirements. How about planning a lovely creative experience for the Mama-to-be? 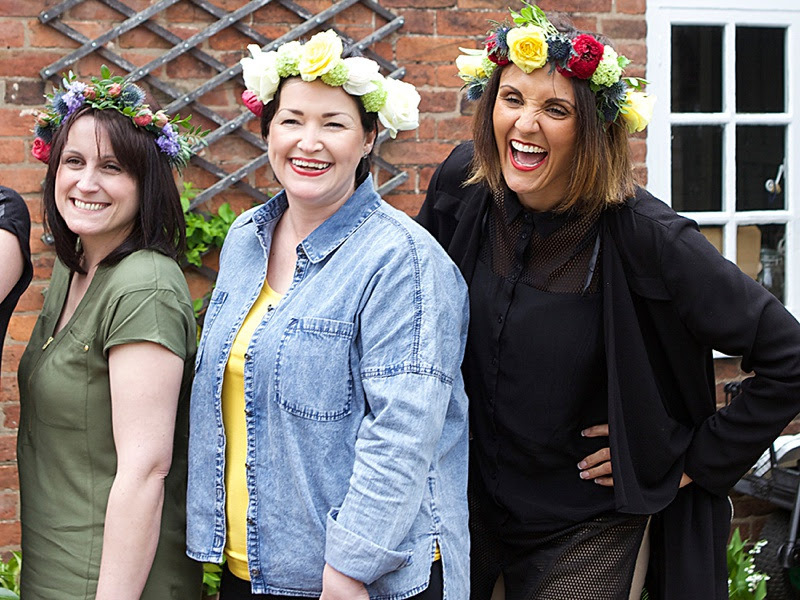 Come to the studio and we will teach you and your group how to make Floral Crowns and then serve a delicious homemade Afternoon Tea on our vintage china to finish off the relaxing workshop. Are you a green-fingered couple? 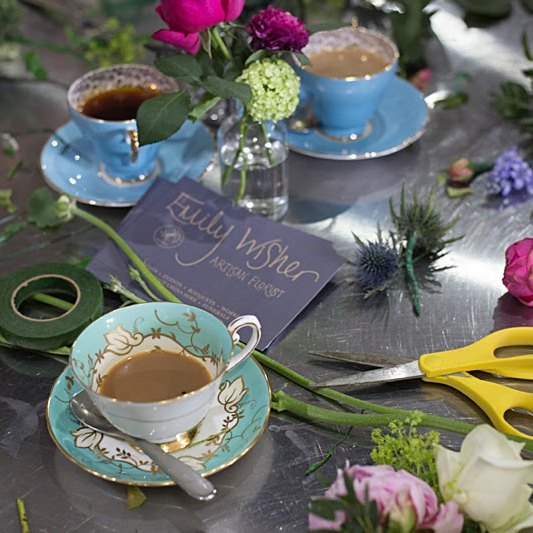 Come to our Studio for the day and learn how to sow and grow your own wedding flowers. We will also teach you how to cut and condition your flowers and give you plenty of tips on how to arrange. We hope to inspire and give you plenty of confidence! There will be a lovely lunch and lots of tea drinking. As seen in Wedding Magazine! Want to learn how to create you own wedding flowers? Come along to this workshop and we will teach you the basics of flower care, what to do, when, and how to make a hand-tied posy, buttonhole and hair slide (along with general wiring techniques). We will send you off prepared and ready to create some beautiful flowers for your wedding! There will be a lovely lunch and lots of tea drinking! Join us for a lovely workshop where we will teach you how to create a stunning hand-tied bouquet. We will provide you with the most beautiful seasonal flowers to create a dreamy bouquet. During the day, we'll demonstrate the art of spiralling stems and provide you with tips on how to condition, care for and prepare your flowers. 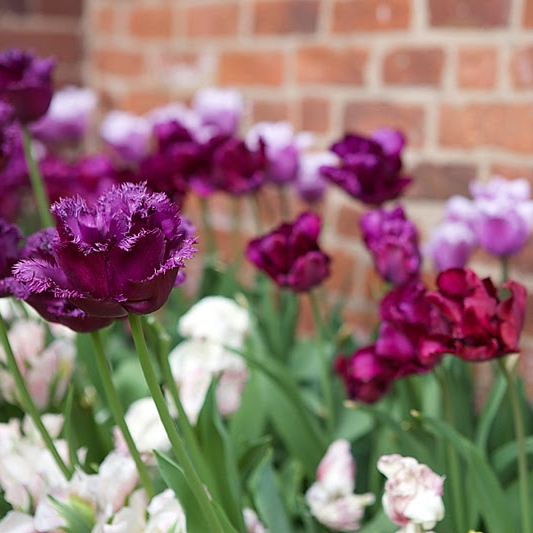 This course is perfect for beginners, for gardeners and anyone with a love of flowers. We will also teach you how to wrap and present your beautiful creation. Included is a delicious homemade lunch, plenty of refreshments and freshly made baked treats! "Thank you for such a fabulous hen party. We were made so welcome nothing was too much trouble, afternoon tea was amazing! And crown making was lots of fun too! We all had a great day, a day we will all cherish. Thank you Emily"